Wolumla: Why live in Wolumla? Wolumla Real estate is comprised of a mixture of housing trends. Old historic villas remain in the village, some have been renovated and modernised while others remain in original condition. Housing on later subdivisions tend to reflect the trends and styles of the year of construction. There are contemporary brick and tile, low maintenance homes on smaller urban sized sections. While some modern housing exists in the Wolumla Village greater development in this area has occurred on the recently emerging lifestyle blocks. These have predominantly occurred in areas such as Cherry Lane and Frogs Hollow. Wolumla farmland does become available and is highly sought after. There is a general store and post office and the quintessential Australian hotel which some would say serves one of the best steak in the southern shire. Wolumla residents rely on Bega and Merimbula townships for further shopping requirements. Wolumla public primary school is a small village style primary school that is supported by a strong rural community. Secondary students have the choice of the state Bega Public High School, the Eden Marine High School, Lumen Christi Catholic College or the South Coast Anglican College. Full bus services are provided for secondary and primary aged children. Wolulma is an approximate ten minute drive from Bega and a fifteen minute drive south of Bega. State and Interstate bus services provide daily services out of Bega and Merimbula, to and from Melbourne, Canberra and Sydney. 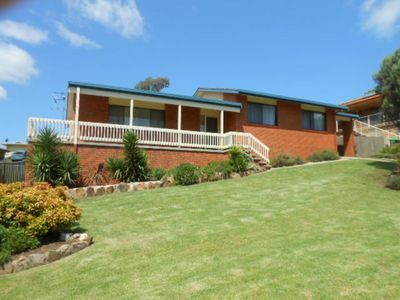 The closest airport is located on the outskirts of Merimbula and daily flights to Sydney and Melbourne are provided. Wolumla Sports and Recreation Fileds are an excellent community facility where local sports teams from Bega and Merimbula compete. It is also used frequently by the pony clubs in the area for local gymkhanas. Wolumla is an historical village located between Bega and Merimbula. A gold discovery in 1896 helped found the township and remained a primary industry for the area for some years. Gold was first discovered at Wolumla by C. Momsen in June 1896. The find was made about two kilometres south of the Wolumla Post Office on the side of a hill later known as Mt Momsen. The Momsen gold mine started a boom with many miners leaving the Pambula gold field to try their luck at Wolumla.There were seven main leases worked alongside with several smaller ones. Gold mining continued as a primary industry in Wolumla until 1950, when torrential rain caused landslides and closure of the mine shafts. Today most Wolumla locals are aware of the tunnel through the hill, a lasting leftover from the gold rush days. The land surrounding Wolumla and outlying areas were heavily cleared and today Wolumla is surrounded by prized rolling farmland used for beef, dairy and sheep grazing. Many historical buildings remain in Wolumla; of particular note, the Wolumla Community Hall, which is supported by a strong musical society. Many well known Australian and overseas artists have performed at the hall. 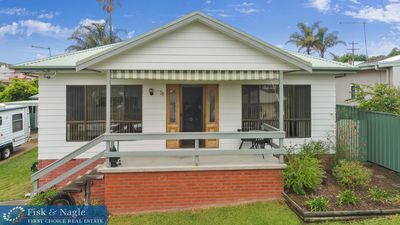 Wolumla is popular with many who prize the peaceful rural location while remaining a convenient ten minute drive from the beaches at Pambula and Merimbula. So if you are looking for Wolumla Real Estate, why not talk to one of our sales team at Fisk and Nagle.